Before we took the flight back home, we went to the Washington (National) Zoo. 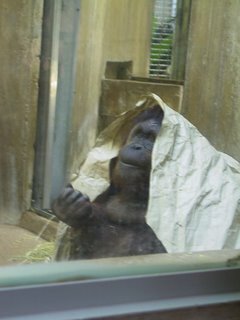 I took a lot of pictures, especially the apes I liked most! ;-) You find the last pictures I took in the USA here. 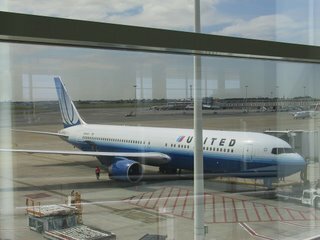 The Washington Dulles airport is so big, but we finally managed to get in the plane. I'm currently writing this story on seat 34B in a Boeing 767. When you think about it, it's now 3 o'clock in the night/morning in Belgium. I suppose I'll be tired when I'll arrive! To end my trip, these're my last words: "Thanks ODTUG! DC, I'll always keep you in my heart!" I regret it's already Wednesday! The last day at ODTUG! 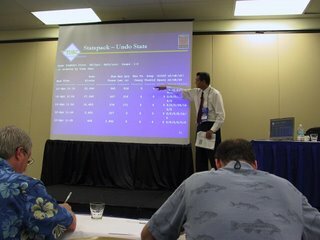 It was my first time I visited the US and also my first time at this conference. 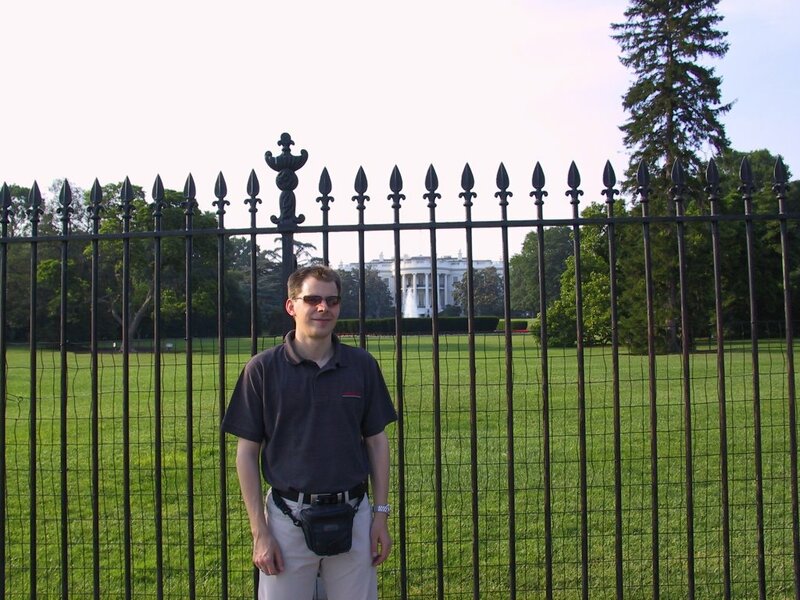 I must say I really liked to be in the States. If I describe my first impressions of the US; nice and friendly people, everything is thought in *big* terms, 1/2l drinks refillable, too good and too big portions of food, I love DC. 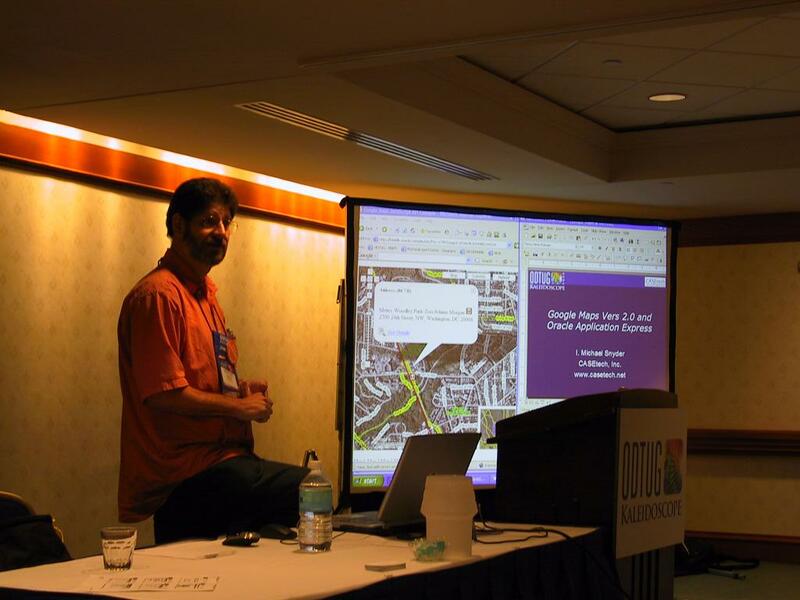 We got a detailed explanation how you can integrate Google Maps with APEX. I found it a good and clear presentation. You can find more information (whitepaper, example) about the application here. Sue gave us a quick overview of SQL Developer and also showed the new features. She also told that Oracle will keep investing in this product and that they really listen to us. The more we say we would like to have in SQL Developer, the more it will be likely this feature will become available. Especially the plugins are useful, as this means that you can do almost everything with the product, just add another plugin with the feature you want. The only problem today is that there'ren't a lot of plugins (yet). A next release of SQL Developer (1.1) will become available last half of CY 2006. Version 1.2 is foreseen for first half of CY 2007. This was the second presentation I followed of Rich and it was for the second time excellent! - You'll do great things if you care! Ajax is really cool, it gives you a better UI experience and extend the HTML language greatly, but there're also some drawbacks: the development time is higher, more code, so more bugs and compatibility issues with different browsers and more security issues. How you can integrate the FCK Editor can be found in the APEX forum, Guido Zeelen created a step-for-step guide. The PDF Report that Scott showed us, was made with PL/PDF. He also told us that XML Publisher can be a good choice too. More information about both methods to generate PDF documents can you easily find on the net. For this session I was the ambassador. This means that you introduce the speaker, supply the hands-outs, get the feedback forms and see that everything runs smooth. I was proud I could introduce Scott. I was lucky to follow his presentations and had several chats with him, so I could know him a bit better. He's a great guy! The Vice President of Oracle, Michael Hichwa, gave us more information about the new features in v2.2 and v3.0 which would normally become available in Feb. 2007. - more integration with AJAX. I suppose I don't need to tell you anymore I really adore APEX. Although I work already for several years with APEX, I hope I can spend more time with the tool. I didn't have any professional project so far which was *pure* APEX. I use APEX a lot in my freetime and I promote it with every client I come with. I also hope to share more of my knowledge in the APEX community. Currently I'm speaking with the APEX development team to improve the WC 2006 application and put it as a sample application on Source Forge. 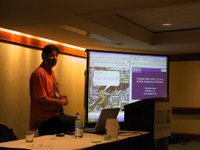 The board of ODTUG also asked me if I was interested to give a presentation next year and write something for the ODTUG magazine. Next year is still far away, but I'll do my best to create something and hopefully it will be good enough to be accepted! I'm happy I followed ODTUG. I knew a lot people from the internet (forums, blog, mail). When you've the chance to meet them in real life is great! Our (IT) world is really small, so you should cherish your network! The pictures of the day you can find here. I'll not blog a lot of technical things from the sessions I followed on Tuesday, only an overview. My good friends of AMIS will post some info about these sessions. After being for four days in the States (Washington) I'm a bit tired. The other days I woke up at 6 o'clock after having a bad sleep... but today I slept till 7.50! Nevertheless I was more tired than before, so no fitness today. 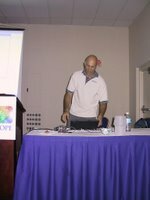 This was an excellent presentation of the PL/SQL guru. He stressed that testing should be done in the very beginning. You should write your test plan and tests before you do the actual coding. He showed the latest tool he created to test a PL/SQL application, Qute, now bought by Quest Software, but his version is also available free of charge! 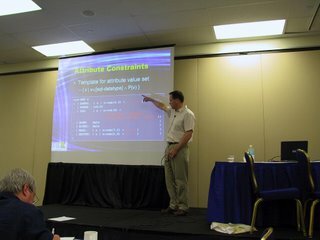 If you like more an Open Source flavor of testing software, you can look at utPLSQL (also written by S.F. some years ago). 1. Describe fully the required functionality of the program. This presentation will be "bloged" by Alex of AMIS. Mogens talked about the evolution of tuning. The whole presentation was blended with humor. You just need to know him, or seen him once to understand what a great guy he it! Well done Mr. Nogood! Data Mining... analytical functions... it was all about that. I don't have real experience in the Data Mining area, so I didn't understand everything he was doing. This presentation wasn't my favorite one, I suppose there'll be somebody else blogging about it. 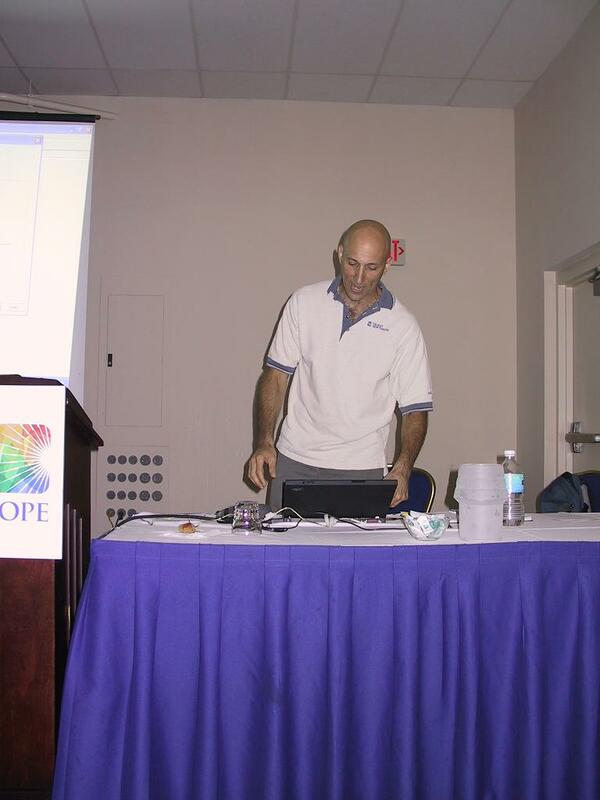 This presentation gave an overview of the evolution of the technology behind webservices. He also explained the difference in SOAP and REST. A demo with JDeveloper showed that it isn't that difficult to create or use a webservice. Again an excellent presentation! My congratulations Toon! I completely agree with Toon to put as much as possible in the database. If this is the case, all the latest technologies are just UI's (User Interfaces). If you use .NET, PHP, JAVA or APEX, it doesn't really matter as by every means you connect to the database, the logic to get the required data is the same (for ex. via an API). All business and data logic are in the database and reachable via an API, so if next year a XYZ technology comes out, it's easy to use it. In the evening we had a nice party with some great food and nice music. The Capitol Steps were the surprise of the evening. 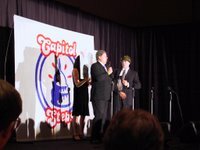 They gave a show, including singing, dancing, but most of the time making (political) jokes. There was one sketch with a geek... really funny, even as a not-American I laught a lot! The real start shot is given at ODTUG today (Monday). A lot of interesting parallel sessions during the day... it's a pity that I *must* choose! This was an interactive session about APEX. 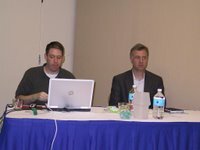 We could ask questions to a team of four persons: Scott Spendolini, Michael Snyder, Greg Jarmiolowski and Patrick Cimolini. They all had different kind of experience using APEX. Most experienced, of course, was Scott. 1. Is APEX a toy or is it a real development environment? 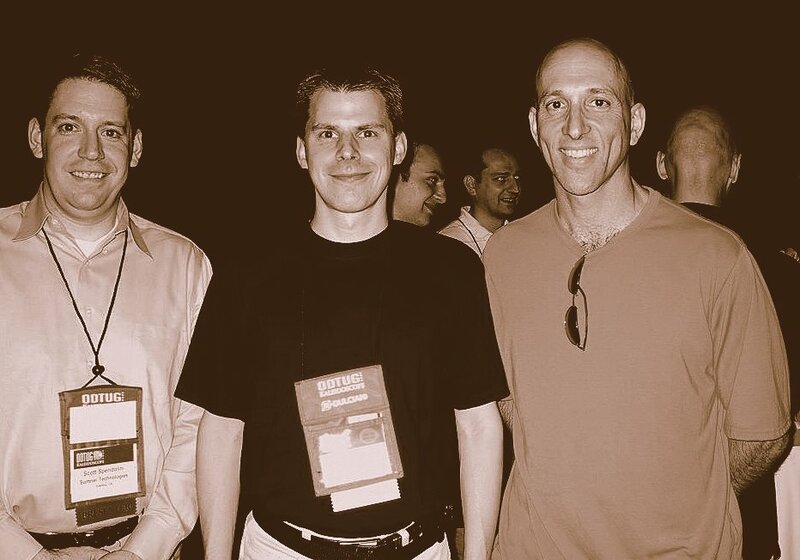 They all agreed that APEX is a real development environment and serious business. From little to big application. Scott Spendolini: "The creation of Metalink in APEX says it all. Oracle would never create something so big if it would disappear..."
Michael Snyder from CASEtech also explained what they have been doing in their firm. They redeveloped all their forms applications in APEX. 2. How much effort does it take to learn APEX? Patrick Cimonline from Cayman Islands Government told about what he did with his team (some COBOL developers). In no time they worked with APEX! You can read more about this on Scott's Blog. Scott told a good one too! The record to build an application is 15 minutes! Basically an Oracle sales consultant went to a customer, were he took a specific Excel of them and put that in APEX. The client immediate said, Ok, let it there - it was production -. 3. A comment from the audience that some "Error Messages" in APEX aren't yet translated in other languages. To make the APEX dev team aware of it, we all should log about it in Metalink, the more the better! 4. APEX in production? And what are the security issues? 5. Are there some best practices for APEX? The data model is really important. APEX is about 90% preparation and 10% painting!! 6. How to work with Reports in APEX? There's a whitepaper available of Scott (see OTN). 7. What about a version control system in/together with APEX? You can do an export of your application and put it into cvs. Scott makes an export every day of his schema/workspace via an automatic script (example how to do it on OTN and APEX studio, search for window job). Next to that, as everything is in the database you can use your backup strategy for ex. once a week taking a cold backup. 8. On the ODTUG website how does the download of the docs work. Store the blob's in your own schema/tables and use the standard functionality of APEX. 9. What about PDF's in APEX? - It's foreseen that Oracle will include something to create pdf's in the 3.0 release. 10. What about really big projects... Do you use a methodology? or Way of working? Apparently at Oracle they had some discussions about including a sort of cvs... but they decided not to do it as it would be too complicated. You should have good understandings with each other and communicate. In APEX you can use for ex. Page locks to prevent working on the same pages. 11. What about the hype round Fusion? The choice between using Java or PL/SQL depends on your inhouse talent. Webservices for ex. are also possible with pl/sql. Depends on project and customer. 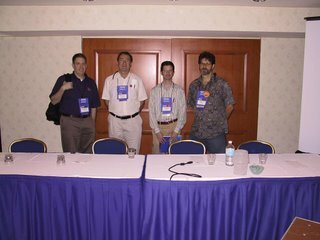 There was the scary presentation of Donald Burleson about Oracle 10g Privacy Security Auditing Techniques. Don explained very well, with lots of tonation, what could go wrong... The part, I found was missing, were the solutions to handle all these threads! I suppose it's in one of his books (he gave some away for free, but I didn't have the luck to get one). I also followed the presentation of Rich Niemiec about Tuning Oracle 9i/10g using Statspack! I found it a really good presentation: clear, nice overview, good slides, lots of detail in the hands-outs, digestible information, evolution of B/ESTAT - Statspack - AWR - OEM & ADDM etc. But I'm more a DBA (or something between a DBA and a DEV, I call myself a DBA4DEV), maybe for some developers it was too complicated, but I find that they should know this too! The last presentation of today for me was Application Development Tuning Best Practices. Maybe I'm a scientist... there're some good articles on the site of Tom Kyte about "rules of thumb" etc. I found it a beautiful day with lots of interesting things to learn! The pictures of Monday are here. 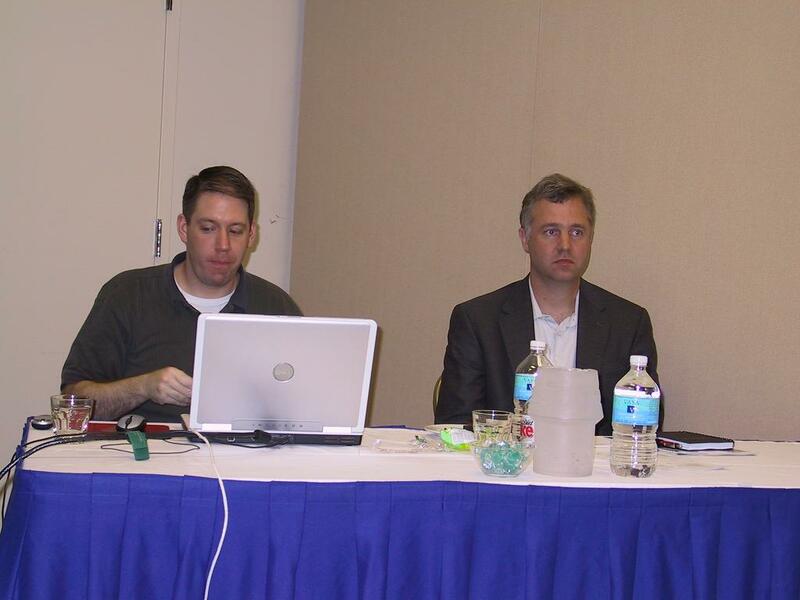 Before noon, I did some XML hands-on sessions. Just like the 10g Dev NF session of the day before, it was too basic for me. But it was a fine refresh of the things I already knew. At noon I tried to watch the Brazil game, but in the US they had some satellite problems, so it was a bit a pain! The burger I eat was way too much! These portions in America are so *big*!! In the afternoon I saw a really interesting and high-level presentation by Toon Koppelaars. The title says it all "Applied Mathematics for Database Professionals/Practitioners (AM4DP)". 1. The Maths: Mathematical concepts; do you recognize the symbols on the picture? 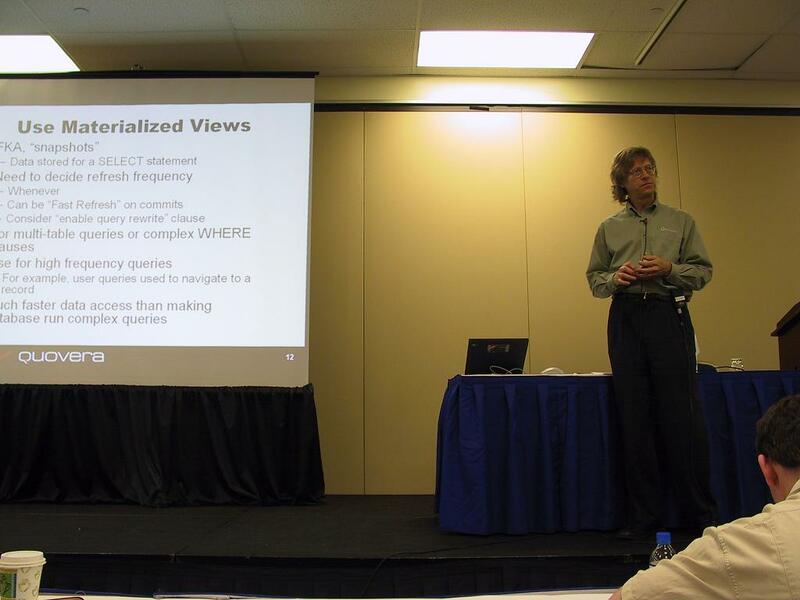 I learned that I must think about a lot more than I did before when I'm creating a database model! 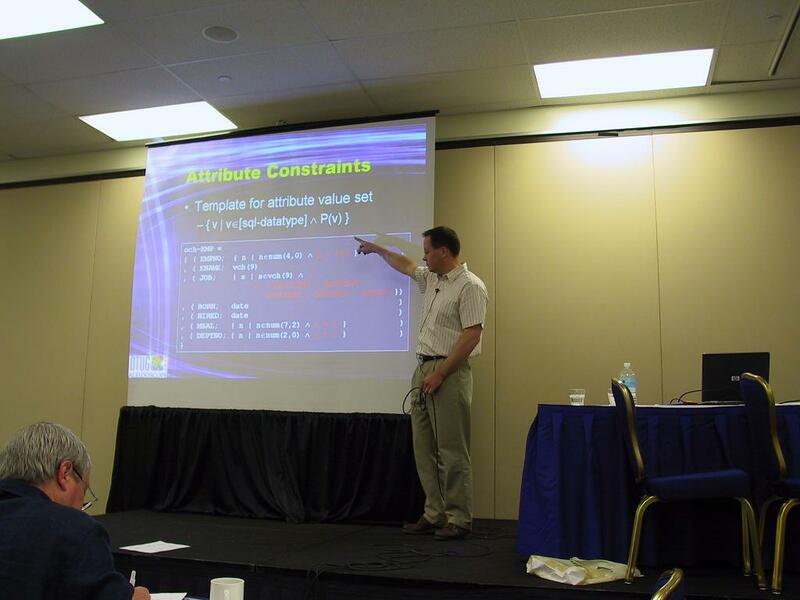 Database modeling = constraint modeling: it's all applied logic and theory (non-ambiguous) and constraint implementation! After the BI summit, where Mark Blog'd about, we had a welcome reception! Although we only got two drink coupons, it was fun ;-) You could easily speak with all the famous "Oracle" people. 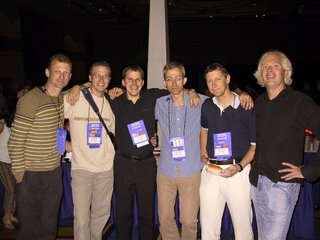 I really liked the chats with Scott S., Steven F., Mogens N., Roger D. and the Danish and AMIS guys. 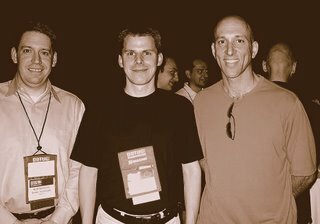 In real world we (Scott Spendolini, me, Steven Feuerstein) look better than on the (original) picture ;-) It's my camera that's not doing it's job very well, so I made it b/w. The pictures of Sunday you find here. Today was the first "real" day. With the time difference I had difficulties to sleep, so at 6 a.m. I went for some fitness. I met Paul Dorsey from Dulcian. 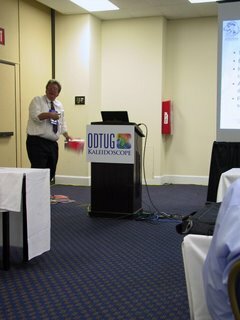 He was the main speaker at ODTUG today. I was a bit embarrassed I didn't know him right away. He 's all into development and he wrote some books. This day you could choose between a symposium about web architecture (different talks about soa, etc.) and some hands-on labs. After having a breakfast I choose to have some hands-on training "Oracle 10g New Development Features". For me it was just a refresh of what I already knew. We saw some new features of SQL, PL/SQL and some other not related stuff. Here're some pictures of the things I visited. I didn't include comments on the pictures, if you've some questions on them, just put a comment here... You'll see some pictures of the hotel, conference, my dinner and some remarkable things (for me, being a Belgian). After an eight hour flight we (Borkur, a colleague and friend of me, and I) finally arrived at the Washington D.C. airport. After another two hours security by-pass and looking for our luggage we got a cap to the hotel where ODTUG will start. 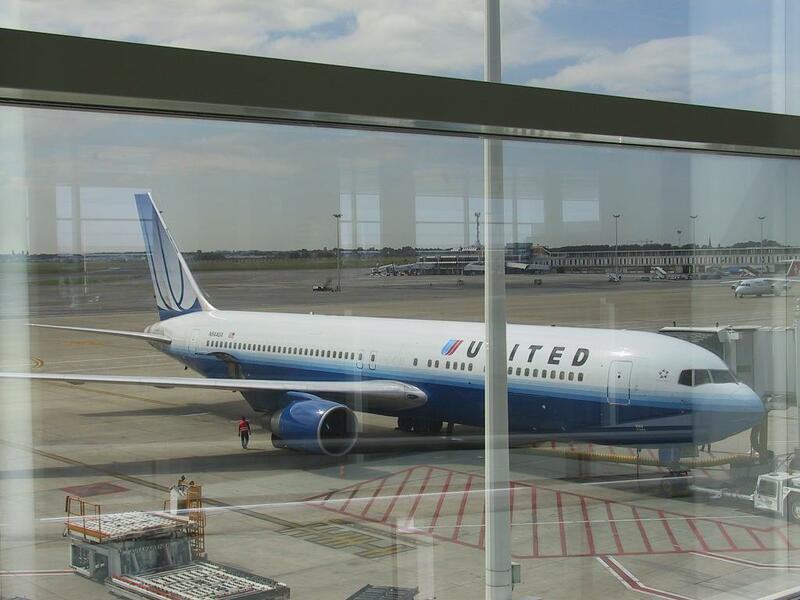 The flight 951 (Brussels - Washington DC) with United was fine, although after a few hours it got bored. I just read some books and watched some parts of the movies United was playing. That was something new for me; a chair with a screen in... I could even adapt the volume, channel and what I wanted to see! The food was correct. It's nice warm in Washington, after a little meal we went for a walk. There were a lot of people walking, some were running... I must admit that Washington D.C. is a living city, just like were I come from (Leuven, although it's not as famous as DC). 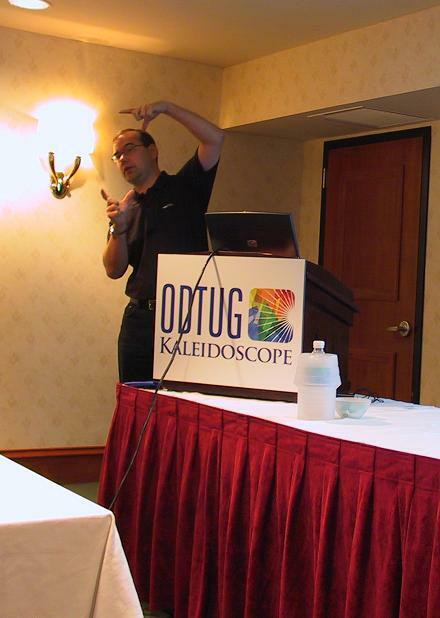 Tomorrow ODTUG starts, I'll try to post some notes on my blog. Pictures you can find here. 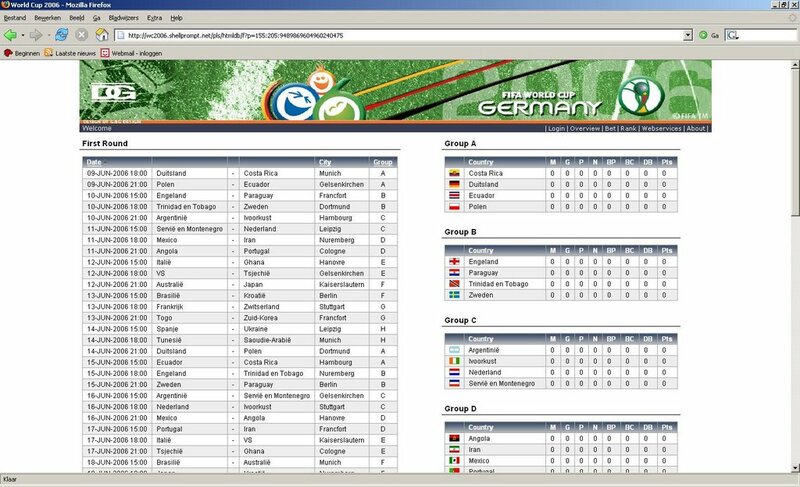 I created a new zip file with the latest release of the World Cup 2006 application (v2). You can download it here. I also submitted it to APEX Studio. Please, don't abuse your insights, now you have the source code, to hack the online betting! If you see some security flaws, please tell me! I made this source available to show you how I made the application... You'll see that there's a lot more into the application than you see online. Certain pages are only accessible via the admin user. You're free to adapt it... I hope you sent me also the improved version. Today I had to create a new database, exactly as an other one. APEX was installed on that (source) database, so I was curious to see if it would work on the target as well... and yes it almost did work! My APEX didn't work correctly... I saw that there were some invalidated packages. I also needed to change the password of my workspace users (admin, ...) to be able to login again. Now everything is up-and-running again! APEX is great! 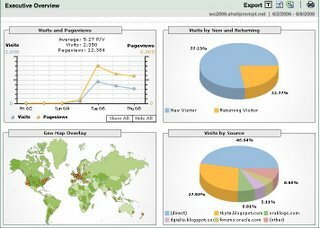 I just got the latest stats of Jes; the visitors/hits of the WC2006 app are going up again. John Scott (Jes) published a nice article about the "Tom Kyte" effect we got and how we made our application more scalable. The WC2006 APEX application has a lot of success! We had a hugh increase in visitors just after the post on Tom Kyte's Blog! I wish you all good luck with your bets!! After the success of the first version of the World Cup 2006 APEX application, I got infected by the "APEX-bug" (= couldn't stop using APEX anymore) and the last couple of days I have tried to put some more APEX features in the WC 2006 application. But that's not all!! The application allows betting! And you can win prizes with it!